CBC News has learned Heritage Minister James Moore will ask Library and Archives to consider restoring a program eliminated during recent federal budget cuts that helped hundreds of small museums across the country preserve local history. 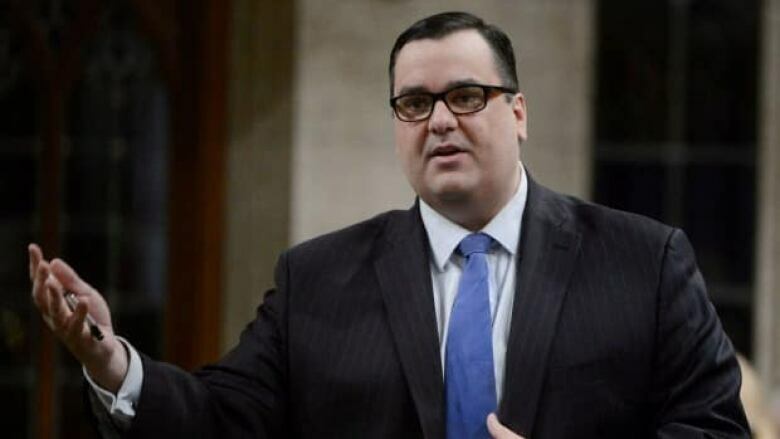 CBC News has learned Heritage Minister James Moore will ask Library and Archives Canada to consider restoring a program eliminated during recent federal budget cuts that helped hundreds of small museums across the country preserve local history. Archivists, historians and public service sector unions have argued the loss of the National Archival Development Program has put Canada's history at risk. The federal grant program, with a budget of about $1.7 million annually, was cut as part of $9.6 million in reductions to the department. In an interview with CBC News, Moore said he will ask the new president of Library and Archives "to take another look at it, to see if that program can be restored in a way that makes sense within the current budget." John Boylan, the former president of the P.E.I. Public Archives and Records Office, warns that sustained cuts mean that new archival material is possibly at risk. "Without the level of processing and preservation work at the front end when things are taken into collections there's a very real danger they won't last in the way that they might," he said. He cited the example of a skilled archives worker who painstakingly restored a century-old architectural plan, but was laid off when funding for his position was eliminated. Boylan isn't the only one worried about the future of Canada's historical documents. Doug Marshall, the president of the Union of National Employees which represents the staff at Library and Archives Canada, said when Ottawa first announced the cuts last year, the federal government said people would be able to search the archives online. But according to Marshall, the staff responsible for digitizing the material were the ones impacted by the cuts. "Less than two per cent of the materials are digitized and at the rate they're going, it's going to take seriously hundreds of years before they actually get what they have in digital form," Marshall said. On this point, Moore agrees with the union. "I'm not happy with the pace," Moore said. The heritage minister says speeding up the digitization of records will be a priority for the new head of Library and Archives. "There's an expectation by the public they should be able to get information right now when and where they want it." Moore is currently looking for a new president of Library and Archives Canada after Daniel Caron resigned from the post in May after improperly billing taxpayers nearly $4,500 in personal Spanish lessons. Hervé Déry is Acting Librarian and Archivist of Canada until an appointment is made. This story has been edited from a previous version that incorrectly suggested Heritage Minister James Moore was considering restoring some funding to Library and Archives Canada. In fact, James Moore said he will ask the department to consider how to restore the National Archival Development Program, which was eliminated under recent cuts to the department.